Get Up To $45 with Naked Juice Class Action Lawsuit with No Proof of Purchase! $75 Cash if You Do! 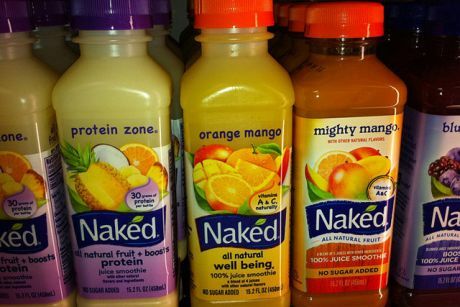 Because Naked Juice Co. falsely advertised their products as “all natural”, they have agreed to a $9 million class action settlement for which Class Members can receive up to a maximum of $75 with proof of purchase. For those consumers without proof of purchase, you are eligible to receive between $5 and $45 in cash. This can be all done by filing a claim online. The money will run out so I suggest to file a claim today to get up to $75 back! While Naked Juice has denied the allegations, the company is still paying out for people buying an eligible Naked Juice product between September 27, 2007 and August 19, 2013. Again, file a claim for the Naked Juice class action lawsuit settlement ASAP otherwise the money will run out. The payments will be adjusted based on how many valid claims are filed, hence class members’ payments may be reduced on a pro rata basis. You can receive a cash award by submitting a valid Claim Form and supporting documents online at www.NakedJuiceClass.com no later than December 17, 2013. Here are more ways to Make Money Online!